Archer will get an opportunity to impress against Ireland and Pakistan. Jofra Archer’s imminent World Cup audition will have no impact on England’s team unity, according to national selector Ed Smith. Archer, who only qualified under revised residency rules last month, was absent from the provisional 15-man squad named by Smith at Lord’s on Wednesday but both he and fellow Barbados-born seamer Chris Jordan have been handed the chance to gatecrash the tournament. The pair have been selected for the standalone match against Ireland on May 3 as well as six white-ball games against Pakistan. England will only confirm their final World Cup party once those are completed, meaning one of the existing group could find themselves jettisoned at the 11th hour. The possibility of disrupting a unit that has risen to world number one status in 50-over cricket has been raised by a handful of Archer’s new team-mates, including David Willey, Mark Wood and Chris Woakes. None have queried the 24-year-old’s pedigree and are understood to be surprised at the way some of their comments have been received, but there is no doubt the last-ditch arrival of Archer, a genuine 90mph paceman with a glittering Twenty20 resume, has complicated an otherwise straightforward selection. Smith, though, is confident there will be no rocking of the boat between now and the curtain-raiser against South Africa on May 30. “If you read those comments really carefully, if you read the whole piece, you’ll see Chris Woakes specified he was not concerned about team unity with Jofra Archer coming into the squad,” said Smith. “He said specifically he did not think the inclusion of Jofra Archer would disrupt the squad, that’s also the view of the captain Eoin Morgan and the head coach Trevor Bayliss. “People have given full answers and taken out of context you can make this case or that case. Mark Wood, another good man, very loyal to his friends in the team, basically said ‘I really respect and admire this team-mate and that team-mate and it would be tough on them to miss out’. Archer has only played 14 List A games, a remarkably scant CV in the one-day format, but has built a compelling case in T20s over the past few season. He is one of the most celebrated overseas stars in both the Big Bash and the Indian Premier League, where his mix of speed, electric fielding and dangerous batting have made him a major commodity. 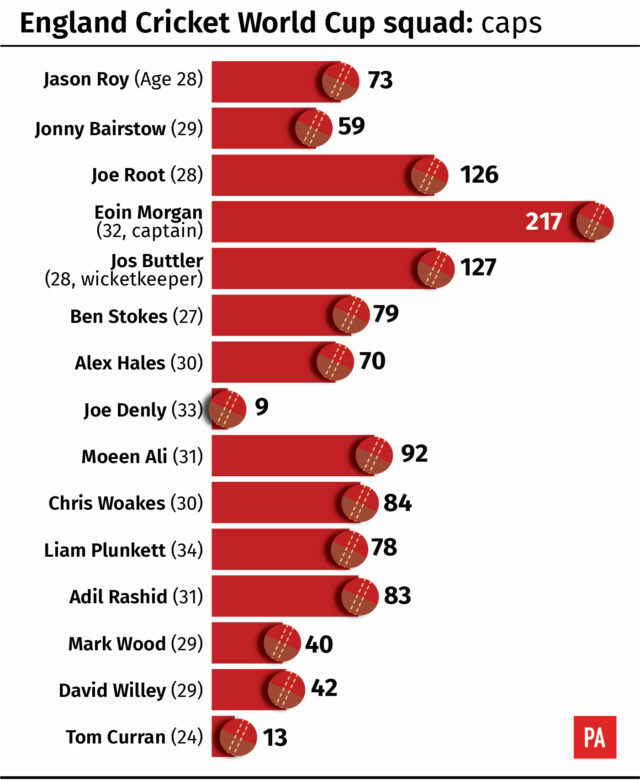 Many expect him to force his way through when England present their final squad on May 23 – with Willey, Tom Curran and Liam Plunkett’s places considered the most vulnerable – but for the time being he has been given a chance not a guarantee. “He’s a very exciting, talented player and the first time he’s been available for England we’ve taken the opportunity to pick him,” said Smith. A @craig_arch special set us up to chase 183 in Mohali last night. The result didn't go our way, but it's time to reflect, learn and move forward! Two big voices in the England dressing room have also had a chance to assess Archer in recent weeks, with vice-captain Jos Buttler and influential all-rounder Ben Stokes lining up alongside him for Rajasthan Royals in the IPL. “It’s not a factor in selection but it’s a happy accident, yes,” admitted Smith. “They have been around Jofra and played with him. Chris Jordan is a good friend and colleague of Jofra at Sussex, so we have a good amount of knowledge about Jofra, not just through our eyes but also through people who have played with and against him. England preliminary World Cup squad: Eoin Morgan (c), Moeen Ali, Jonny Bairstow, Jos Buttler, Tom Curran, Joe Denly, Alex Hales, Liam Plunkett, Adil Rashid, Joe Root, Jason Roy, Ben Stokes, David Willey, Chris Woakes, Mark Wood. England squad for Pakistan ODI series: Eoin Morgan (c), Moeen Ali, Jofra Archer, Jonny Bairstow, Jos Buttler, Tom Curran, Joe Denly, Alex Hales, Chris Jordan, Liam Plunkett, Adil Rashid, Joe Root, Jason Roy, Ben Stokes, David Willey, Chris Woakes, Mark Wood. England squad for Ireland ODI and Pakistan T20: Eoin Morgan (c), Jofra Archer, Sam Billings, Tom Curran, Joe Denly, Chris Jordan, Alex Hales, Liam Plunkett, Adil Rashid, Joe Root, Jason Roy, James Vince, David Willey, Mark Wood.